The best season for diving is from January until May. Whale Sharks are seen from Middle of December onward. 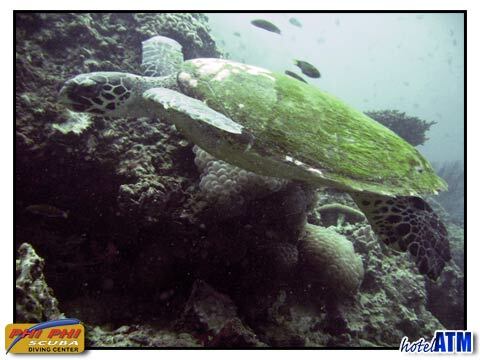 There is Diving in the low season as the cliffs of Phi Phi Ley and the Tonsai Walls provide excellent undisturbed seas. 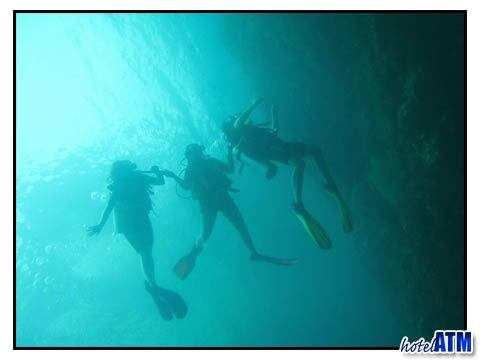 For fun diving there is availability all year and most of the year open water courses are available. Christmas and New Year, Chinese and Thai New Year can be significantly more busy. Phi Phi Dot Com offers accommodation for it's packages at Phi Phi Andaman Beach Resort, Phi Phi Cabana Hotel. Day 1 Transfer form Phuket Airport or Hotel in Phuket to Phi Phi Island. Check in at the hotel. Meet at the Siam UK for brief introduction. Day 2 Phi Phi Ley 2 dive day. Day 3 Phi Phi Ley 2 dive day. Day 4 Check out from the hotel and transfer to Phuket. Day 1 Transfer form Phuket Airport or Hotel in Phuket to Phi Phi Island. Check in at the hotel. Meet at the Siam UK for brief introduction. Meet at the Moskito Dive School before 18:00 PM Day 2 Phi Phi Ley 2 Dive day. Day 3 Phi Phi Ley 2 Dive day. Day 4 Champagne breakfast with the Sharks. Day 5 Leisure Time Day 6 Check out from the hotel and transfer to Phuket. Day 1 Transfer form Phuket Airport or Hotel in Phuket to Phi Phi Island. Check in at the hotel. Meet at the Siam UK for brief introduction. Meet at the Moskito Dive School before 18:00 PM Day 2 Phi Phi Ley 2 Dive day. Day 3 Phi Phi Ley 2 Dive day. Day 4 Phi Phi Ley 2 Dive day. Day 5 Champagne breakfast with the Sharks. Day 6 Leisure Time Day 7 Check out from the hotel and transfer to Phuket. If you wish to get a quotation for the PADI Open Water Course including accommodation please contact Phi Phi Dot Com. Please note that the PADI Open Water Course takes 4 days of class work and diving. Express courses over 3 days can be done but are rarely as comfortable as the 4 day period.